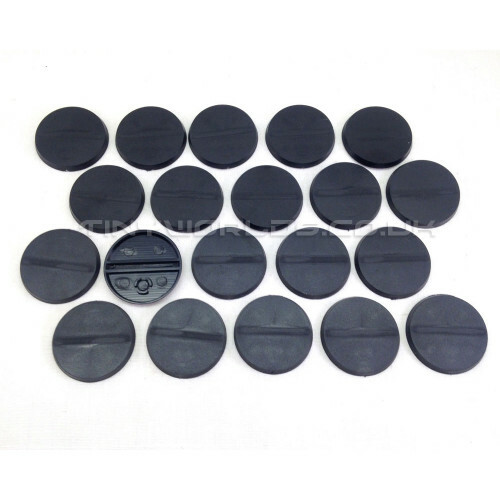 Pack of 20 or 100 x 32mm round black plastic bases. Optional cut out slot. Perfect for replacing missing bases for your wargames miniatures. These bases are excellent quality, comparable to those supplied by most large games manufacturers. Please note these bases have no slot as shown in image. The slot shape is shown on the reverse if you need to cut out a slot.